Transform your TV into a fully connected media centre and access the full range of digital channels thanks to settop boxes from STRONG. With set top boxes, you can access HD content. Browse the latest digital channels and find exactly what you want via an electronic programme guide. You can pause and rewind live shows, while an external USB hard drive record functions means you’ll never again miss your favourite shows. 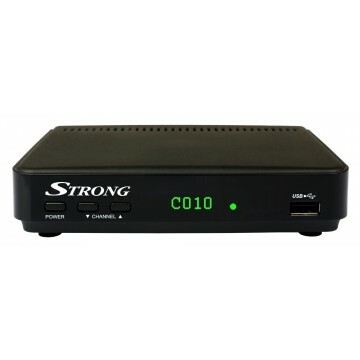 Strong's Set Top Boxes and DVRs are MPEG4 allowing access to ALL the free to air TV Channels. Thanks to digital set topboxes from STRONG, Digital TV is easier and cheaper than youthink. Explore our range and transform your TV today.